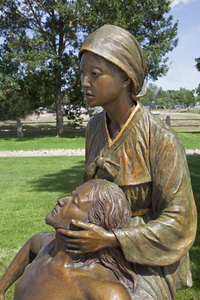 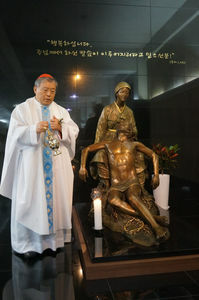 Mother Mary and Christ are depicted as Koreans. 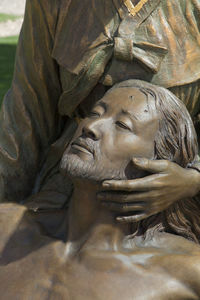 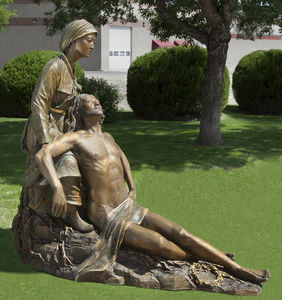 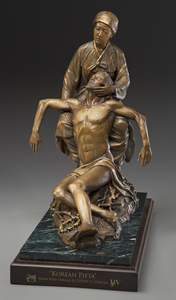 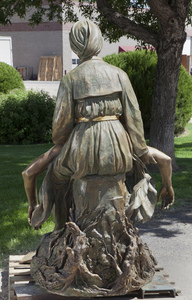 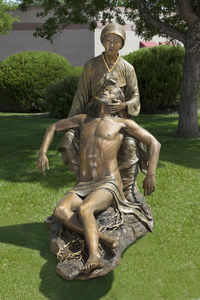 The composition is designed like a crucifix and is intended to be located in a Korean Catholic Church. 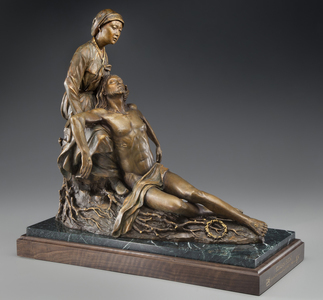 The expression of Mary is of grief but Christ is in a state resembling sleep , implying the coming Resurrection. 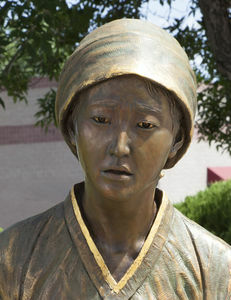 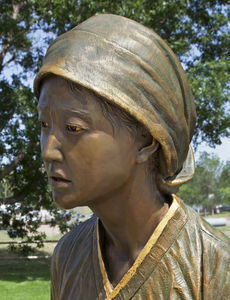 Mother Mary's dress is a traditional peasant Han Bok with headscarf.